On Thursday morning, Al Gore — former vice president-turned-climate activist and venture capitalist — called on Trailblazers to join his climate crusade in the kick-off keynote of the Dreamforce ‘18 Climate Summit. “I’m here to recruit the Salesforce ecosystem to be a part of the solution to the climate crisis,” said Gore. “The ‘sustainability revolution’ is the biggest business opportunity — ever.” It’s all about making a rapid transition from fossil fuels to zero-carbon renewables like wind, solar, and batteries — a perfect tie-in to the principles underlying the Fourth Industrial Revolution. “The sustainability revolution has the magnitude of the industrial revolution, with the speed of the digital revolution,” said Gore. Since 2010, the world has invested more and more in renewables than in fossil fuels. In Europe, for example, 75% of new energy investments in the last year have been allocated to renewables. Jobs in the solar energy sector in the U.S. are now growing nine times faster than the overall economy. You see the trend. Not since the adoption of mobile phones has the world seen shifting market dynamics drive such meaningful change. Mobile phones brought the developing world closer to the developed world, especially at a time when developing nations more often than not had poor landline cables. Cellular signals quickly became the great equalizer, enabling instant and more cost-effective peer-to-peer communications. The world suddenly became connected. And knowing the sun emits enough energy to power the world for an entire year, there’s no question that investment and innovation in solar energy is now more important than ever before. “It’s up to us,” said Gore. “This is our home.” However, seismic changes are often met by fierce resistance before ever prevailing. 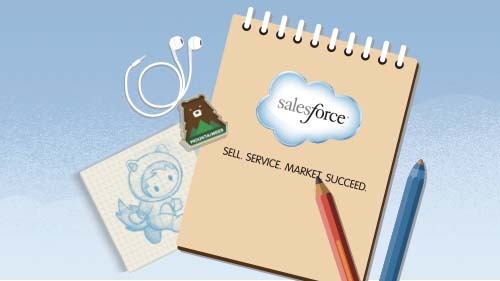 Echoing Salesforce Co-CEO Marc Benioff, Gore noted that change comes because people. Young people, in particular, demand it and have the will to act. 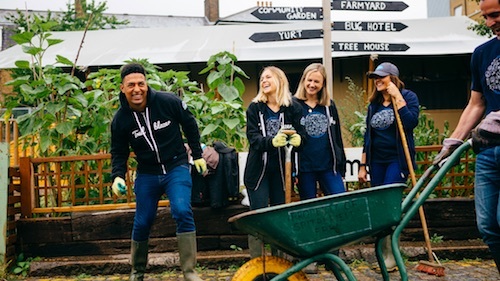 Learn more about Salesforce’s commitment to creating a more sustainable world today.